THE International Organisation for Migration (IOM) has appealed for US$7,2 million from the international community to enable the organisation to provide humanitarian assistance to 90 000 Zimbabweans who were affected by Cyclone Idai. In a report, IOM said it was keen to provide long term support for affected communities. The assistance will go towards shelter and non-food items, camp co-ordination and camp management. 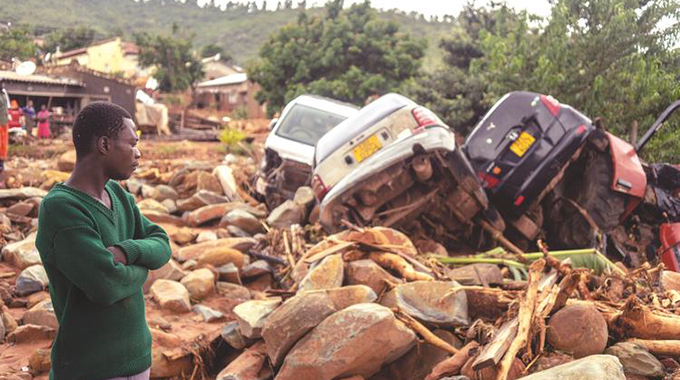 “In response to the crisis in Zimbabwe caused by Cyclone Idai, IOM is appealing to the international community for $7,2 million to provide multi-sectorial humanitarian assistance to 90 000 individuals,” reads part of the IOM report. According to the report, $3,75 million of the $7,2 million will go towards shelter and non-food items. “Shelter support is vital to the return and recovery of displaced populations. The Government reported that an estimated 18 000 households are in urgent need of shelter and NFI assistance. IOM will support targeted populations with acute needs who are not yet able to return home and have lost everything in the disaster,” said IOM. IOM said $300 000 is expected to go towards camp co-ordination and camp management. It said $2 million will go towards early recovery, while $700 000 will be for displacement tracking.